In Episode 42, Kathryn interviews Fernanda, from Life on Tellus, about using mindfulness to help end binge eating and find freedom around food. 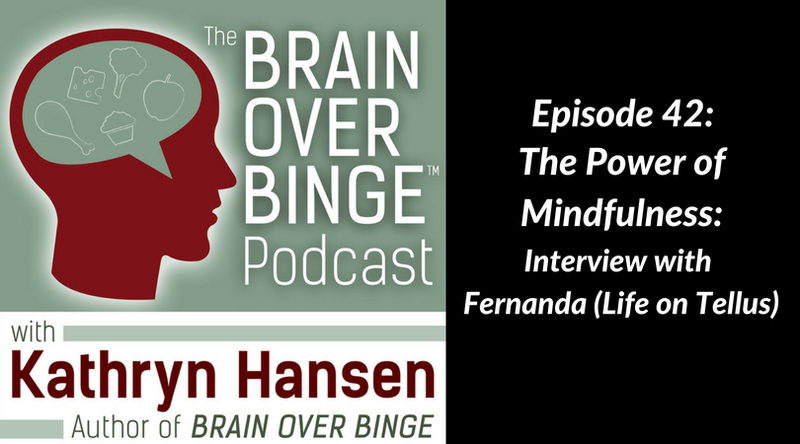 Fernanda discusses how she used mindfulness and meditation in her own recovery, and how she teaches those skills to the people she coaches. This conversation dives into some of the science behind mindfulness and it’s spiritual implications as well.